Andy was last seen in Vermont Stage’s production of Dancing Lessons (Ever Montgomery), Tribes (Daniel), and Vanya and Sonia and Masha and Spike (Spike). Career highlights include the Los Angeles Ovation Award-nominated As You Like It, and a season at the American Conservatory Theater in San Francisco (The Real Thing, The Goat: or Who is Sylvia, A Christmas Carol, and A Moon for the Misbegotten). 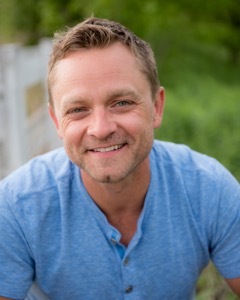 His television credits include co-starring on NBC’s Medium, as well as regional commercial work. Andy has served as guest lecturer at St. Mary’s College (CA) and Champlain College, as theatre curriculum designer for Zane State College (OH), and currently as a Vermont Arts Council Teaching Artist in the national Poetry Out Loud competition. He earned his M.F.A. in Acting from the American Conservatory Theater.